Is there anything more French than the guillotine, you may well ask? As a true crime writer resident in France, I’ve written about this head-chopping apparatus, first put to work in 1792 and last put to work in 1981, four years after capital punishment had been abolished by a parliamentary vote (1977). 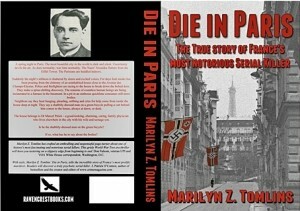 One of those guillotined had caught my attention and he is the subject of my true crime DIE IN PARIS. 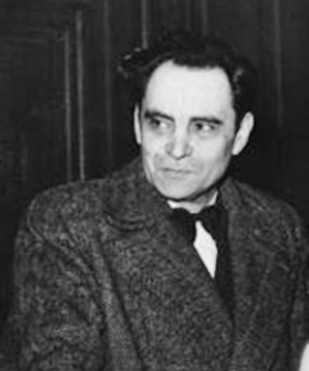 This man is Dr Marcel Petiot, France’s most prolific serial killer. His killing spree had begun in 1926 and ended in 1944 on his arrest. He was guillotined on May 25, 1946. It is thought that he had killed about 200 innocents: he was guillotined for the murder of 26. Here follows an extract from my book. Petiot, in a cell on death row in La Santé Prison in Paris, is being woken up to be taken to the guillotine. At 4:45am, the witnesses approached Petiot’s cell. He lay on his back. His handcuffed hands rested on his chest. His chained legs were crossed. He wore a pair of black prison pajamas. He was fast asleep. The witnesses squeezed into the cell. “Petiot, wake up,” called Dupin. “Have courage. Be brave. The time has come,” said Dupin. These were words tradition required him to say. Petiot opened his eyes. He glared at Dupin. “You’re a pain in the arse!” he hissed. The warders removed the handcuffs and the chains. Petiot dressed. He put on the suit and shirt he’d worn on the first and last days of his trial. Knowing what was to come, he left the collar and the purple bow tie lying on the bed. Dupin asked if he had a special request. He wanted to write letters to Georgette, Gerhardt and Maurice. Experienced in such matters and moments, Floriot had had the foresight to bring a writing bloc, envelopes, pen and ink. Petiot started to write. When he still had not finished after twenty minutes, one of the witnesses whispered something to Dr. Paul; he wanted to know how much time a condemned man should be given to write letters. “They can take as long as they like … provided of course … Once a condemned man sat writing letters for four hours and we all had to stand and wait,” whispered Dr. Paul. Overhearing him, Goletty said he might have to leave the cell. He was not feeling well. He had turned white. By contrast, Petiot was calm. It would be remembered his hands had not trembled at any time. Petiot, half an hour after he had started writing his letters, put the pen down, folded the letters and slipped them into envelopes. He wrote the name of the recipient on each and handed it to Floriot. Abbé Berger stepped forward and offered Petiot the Last Rites. “No. I do not need your services. I am an infidel,” said Petiot. “Your wife wants you to have them and I therefore ask you to accept them for the love of your wife,” said the Abbé. “In that case, go ahead,” replied Petiot. It was Dupin’s turn to feel unwell. He went as white as Goletty and swayed. Offered a glass of rum, another of France’s guillotine traditions, Petiot turned it down. He would die without ever having drunk alcohol. Instead, he asked if he could smoke a cigarette. Floriot quickly offered him one of his own. Petiot inhaled deeply and blew rings into the stale air. Finished, he swept his eyes over the men in the cell with him. He was again handcuffed, and his night chain was swung around his ankles. Without wasting any more time, the group started walking down the corridor of Block 7. Other inmates kicked and banged violently on the doors of their cells. “Adieu Mégot!” a voice called out. It was a long walk down the many corridors and across two yards to the ceremonial courtyard where the guillotine was waiting. Petiot, because of the chains, lost his balance and stumbled several times; to steady his gait, he lifted his handcuffed hands over his chest. Close to the courtyard, he was pulled into a small room. 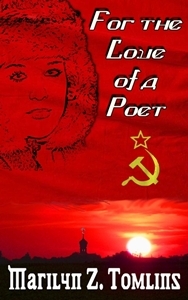 He was to have his neck shaved, and his shirt had to be cut open so that his neck would be exposed for the guillotine’s kiss. He seemed familiar with the routine. The room was in semidarkness; whenever there was an execution in the courtyard the blind in front of the window was to be pulled down because sometime somewhere someone had decided it would be too cruel for the condemned to see the instrument of death. His shirt cut, and his neck smoothly shaved, he asked for another cigarette. Again, Floriot gave him one of his. Whilst Petiot smoked, some of the witnesses stepped outside to wait in the courtyard. They were silent. And they tried not to look at the guillotine. The cigarette, smoked, Petiot’s handcuffs were removed. These had been on very tightly and they had left red marks across his wrists. He was still shaking his arms to return their blood circulation when he was asked to take off his jacket and to put his hands behind his back. He shot a glance at the handcuffs lying on a table as if implying they weren’t needed anymore; would not be needed in future – not for him. He must surely have read in the books found at the townhouse, but must have forgotten, that the condemned did not go to the guillotine handcuffed; their hands were tied with ordinary domestic cord. So were his now. They were tied behind his back. The chain around his ankles was removed. His blood was free to rush. At a minute before five o’clock, he stepped out into the courtyard. He looked small and frail beside the four-metre-high wooden guillotine. Those were the words of Art. 2 of the proposition concerning the death sentence which Dr. Guillotine had submitted for debate in the French parliament in 1789. In honor of Dr. Antoine Louis, who had drawn up the blueprints for the apparatus, Dr. Guillotine’s machine would be nicknamed Louisette. 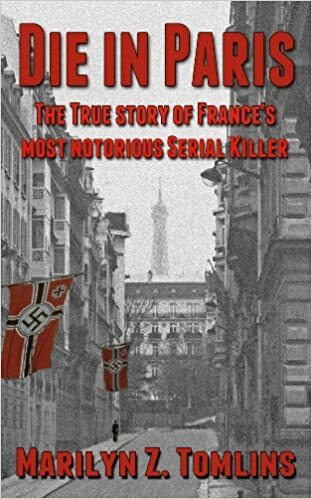 Dr. Marcel Petiot’s killing spree had started in 1926 with a girl named Louisette. Now, twenty years later, it was to end with another. He kissed Floriot three times on the cheeks. “Petiot, do you have anything you wish to say?” asked Dupin, standing a few steps away. Non. Je suis un voyageur qui emporte tous ses bagages avec lui. It was always preferable that death should come quickly to the condemned. Therefore, Desfourneaux and his three assistants worked fast. They pulled Petiot towards the guillotine: they did not look left or right. They did not even seem to waste time to breathe. “Don’t look, gentlemen, this won’t be pretty,” said Petiot, looking over his shoulder at those who had come to see him die. He was smiling. The ‘gentlemen’ stood well away. They wore their best suits. These too had been expensive and blood could splatter. Desfourneaux took Petiot by the arm and pushed him against the bascule, the guillotine’s vertically-positioned tilting board. Rapidly, two of his assistants swung wide leather belts around Petiot’s torso and legs and tied him to the board. Next, they pushed the bascule down into a horizontal position until it was level with the lunette, the device that kept a condemned’s head in position. Desfourneaux was waiting and as the bascule came to a halt, he grabbed Petiot’s head and pushed it through the lunette. Suddenly, Petiot began to thrash about as if he wanted to get up and run away. With ease that came from years of experience, Desfourneaux, with both hands, held him down by the shoulders. Petiot calmed and became still; the reflex had passed, the storm had ended; he had accepted the abyss. He turned his head and looked and smiled at Desfourneaux. The latter’s face betrayed not a trace of emotion, but his left hand was moving towards the déclic that, when pushed down, would release the blade that would rob Petiot of his life. The blade was oblique. Such a blade had been found to be far more effective than a straight-edged one. A straight blade was inclined to crush the neck rather than to severe it. It made guillotining an altogether messier proceedure. Desfourneaux’s third assistant was standing directly in front of the lunette, but behind a wooden shield that would protect him from Petiot’s blood. Between the lunette and the shield stood a wicker basket. As Petiot’s head appeared through the lunette, he grabbed it by the hair; it was imperative that a condemned’s head should not move. Had Petiot been bald, he would have grabbed him around the top of his head. Desfourneaux pressed the déclic. The guillotine’s blade was attached to a metal block known as the mouton. Its purpose was to add speed and force to the blade. The mouton weighed 66 pounds; the blade sixteen. Three bolts that kept the blade in place weighed two pounds each. That was a total of eighty-eight pounds: it hit Petiot’s neck with a dull and very sharp thud. Petiot’s head fell into the wicker basket. It was the kind of basket as might be found in any office, but this one was lined with lead so that blood could not seep out. 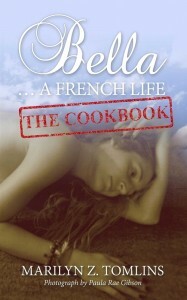 Petiot’s body, as lifeless as it was headless, laid stock still on the bascule. Hastily, the two assistants, one on each side of it, pushed it into another wicker basket, this one long. It was also lead-lined and was large enough to hold four adult bodies. Dr. Paul stepped up to the long basket. He had to establish death had taken place. He had always found this such a ridiculous formality. He looked into the basket and nodded heavily. Petiot lay on his back. His arms were underneath his body. His legs were bent. Those who had witnessed guillotine executions, used to say that after decapitation, the eyelids and lips of the guillotined had continued to contract for five or six seconds. Rumor has it that Petiot had continued to smile and flutter his eyelids for at least twenty or thirty seconds after his head had been severed from his body. The witnesses left the courtyard, got into their cars and drove off. Desfourneaux and his three assistants still had work to do before they too could go. 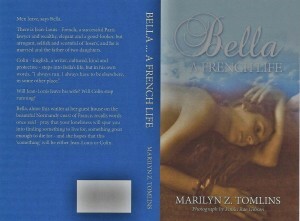 They transfered Petiot’s body and head to a plain wooden coffin. They hosed down the guillotine, the basket into which Petiot’s head had tumbled and the basket into which his body had been pushed. They hosed the courtyard. All part of the service. Monsieur de Paris and his three assistants had nearly not turned up for Petiot’s execution. They had gone on strike for an increase to their FF65,000 (US$5,000) annual salary, and the FF50 (US$13) bonus they received for each execution. Since the increase had been promised but had been slow in coming, Desfourneaux had threatened he would not be able to guillotine Petiot: threatened in turn, he had said his machine was not in working order; it had been damaged during Allied bombing. In fact, Desfourneaux had efficiently guillotined Germany’s enemies – mostly Resisters, some of them women – throughout the war. It was something that would sully his name until the day he died in 1951 of a heart attack, probably caused by the alcoholism and depression of his last years, years he had spent repairing bicycles. Just like Maurice Petiot. Desfourneaux had not become an executioner by chance: no one in France ever had done so; it was a profession that had run in families. Father to son; grandfather to grandson; uncle to nephew. He had two executioners in his family; his great-uncle, Edouard Mathieu and an uncle Leopold.